In publishing Dear Stranger on Letting Go. Stepping Up. 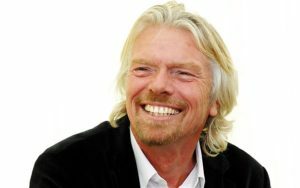 I acknowledge Richard Branson and the original source, Dear Stranger, a 2015 collection of inspirational, heartfelt letters to an imagined stranger from many authors, collated by Mind, a mental health charity. You don’t know me but I hear you are going through a tough time, and I would like to help you. I want to be open and honest with you, and let you know that happiness isn’t something just aﬀorded to a special few. It can be yours if you take the time to let it grow. I know I’m fortunate to live an extraordinary life, and that most people would assume my business success, and the wealth that comes with it, has brought me happiness. But it hasn’t; in fact, it’s the reverse. I am successful, wealthy and connected because I am happy. If you allow yourself to be in the moment and appreciate the moment, happiness will follow. I speak from experience. We’ve built a business empire, joined conversations about the future of our planet, attended many memorable parties and met many unforgettable people. And while these things have brought me great joy, it’s the moments that I stopped just to be, rather than do, that have given me true happiness. Why? Because allowing yourself just to be, puts things into perspective. Try it. Be still. Be present. For me, it’s watching the ﬂamingos ﬂy across Necker Island at dusk. It’s holding my new grandchild’s tiny hands. It’s looking up at the stars and dreaming of seeing them up close one day. It’s listening to my family’s dinnertime debates. It’s the smile on a stranger’s face, the smell of rain, the ripple of a wave, It’s sunrise and sunset. There’s a reason we’re called human beings and not human doings. As human beings, we have the ability to think, move and communicate in a heightened way. We can cooperate, understand, reconcile and love, that’s what sets us apart from most other species. But don’t just seek happiness when you’re down. Happiness shouldn’t be a goal, it should be a habit. Take the focus oﬀ doing, and start being every day. Be loving, be grateful, be helpful, and be a spectator to your own thoughts. Allow yourself to be in the moment, and appreciate the moment. Take the focus oﬀ everything you think you need to do, and start being – I promise you, happiness will follow.